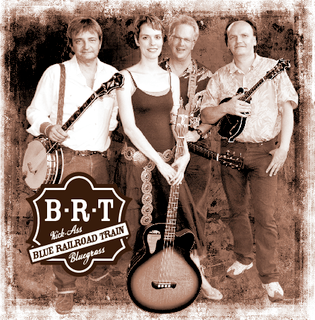 The Bluegrass Blog's correspondent Terri Holloway has been talking to Sweden's Downtown Ramblers, #1 European Bluegrass Band 2009, who are currently in Nashville, TN, as part of this year's IBMA World of Bluegrass. Read the whole feature - entitled 'European bluegrass - Swedish style' - here. ... we will, each day, celebrate the life of Bill Monroe by sharing information about him and those people who are associated with his life and music career. This information includes births and deaths; recording sessions; single, LP and CD release dates; and other interesting tidbits. A lot of the information has long been in the public domain; additional data has been identified in the course of personal research over 35 years. 'I’m going back to old Kentucky' is a work in progress and we welcome input from our readers. You can make your contribution to this important project through a link on this Bluegrass Blog post. There is plenty of space on all classes except bluegrass banjo, for which a waiting list is being held. If we get enough overflow bookings we may get an additional instructor to assist Rod. Courses are at the usual place, Kingham Hill School; arrive Friday 22 for workshops Saturday 23-Sunday 24 October 2010. Arriving by Friday evening 22 Oct. and leaving Sunday 24 Oct. means there's ONLY 23 DAYS TO GO. Old time fiddle really needs some students. It's surprising the takeup has not been better with Dave Proctor teaching. He's a great player and good teacher too. It has taken a couple of years to get him here as he's a busy man. We may not get another chance in a hurry. As usual, the lineup is brilliant with a choice selection of the best players and teachers in the UK ready to pass on their knowledge. We will also be running the now popular Music theory elective too. Please see this link for more details. All that and the great fun everyone has at Kingham around Halloween. How could you miss it! Could you please get your booking in ASAP. If you leave it to the last minute, confusion can arise on arrival day because we don't have enough time to process it properly! If you have more queries please e-mail. Es ist eine traurige Aufgabe, euch über den Tod von Peter Gisin (8. August 1934-20. September 2010) zu unterrichten. Er war 1960 am ersten Country-Music-Livekonzert in der Schweiz in Basel auf der Bühne dabei und bis zur Auflösung der Country Pickers 1996 an Gitarre, Dobro, Autoharp, singender Säge, Mundharmonika und Gesang als Bluegrass-Künstler aktiv. Er war ein echter Pionier. Die Gedenkfeier findet am Montag, 4. Oktober 2010 um 14 Uhr beim Friedhof Birsfelden, Schweiz statt. 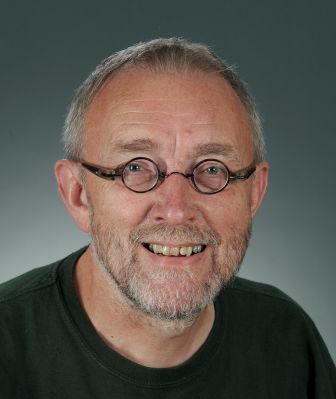 It is my sad duty to inform you of the death of Peter Gisin (8 August 1934-20 September 2010). 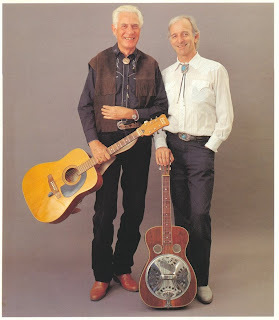 He was on stage at the first live country music show in Switzerland in 1960 and active as a bluegrass artist on guitar, dobro, autoharp, musical saw, mouthharp, and vocals until the Country Pickers' last performance in 1996. He was a true pioneer. The memorial service takes place at the cemetery in Birsfelden, Switzerland, on Monday 4 October 2010 at 2.00 p.m. The logo of Bluegrass Europe appears on today's Bluegrass Blog, and right beside it are some stimulating quotes from Rainer Zellner and Hansjoerg Malonek, major figures in the presentation of bluegrass in Germany (both of them also took part in the IBMA's International Summit of 2008). Terri Holloway of Arizona has reported to the Bluegrass Blog on the seminar 'Promoting bluegrass: that's how we do it in Europe' presented by Zellner and Malonek this morning (9.30-11.00 a.m., 28 Sept. 2010) as part of IBMA's World of Bluegrass 2010. Congratulations to the original Bluegrass Blog and its correspondent on such a prompt and ample report on this event; and congratulations too to the seminar presenters for some thought-provoking comments on the state of bluegrass in Europe, which are worth anyone's attention. Holloway's whole report can be read here. The following is a summary of recent information directly from the D’Addario String Company in the USA. Since Europe is such a major market for American made strings, with many musicians using D’Addario Strings, this is important information – for the company and especially for you players. Yes, you may be purchasing defective low-quality strings, if your strings are indeed not the real thing! A difficulty in locating counterfeiters online would be the ability to know the difference between the real D'Addario packaging, and the fake. At some Internet sources you may be seeing real D'Addario product; just an older version of it. So to help you identify the fakes, please view the images in this blog. You may click on them for a large version of the string packages. The following explanation may help you identify counterfeit illegal product before you buy it. 1) The counterfeit package on the left side (in the “Counterfeit” photo) is in a vinyl pouch. In 2002, all of our popular sets were changed to the envelope we are currently using. We only have three electric sets that still require a vinyl pouch: XL155, XL156 and XL157. However, all of these have an updated look to reflect our current logo and packaging. This particular set in the photo is a computer print-out of our packaging placed in a vinyl pouch. It is a fake. 2) The counterfeit package on the right side (in the “Counterfeit” photo), you will see a black line which breaks the two parts of the “X” in half. D’Addario sets do not have this black line separation. You will also see that the purple used in the XL, and the circle around it, is not a solid color. Their version has some light and dark printing within it. This would be a poorly reproduced package since we have solid purple with no variations. The best way to really make sure that you are getting an authentic D'Addario product is to be aware that this problem exists, and to use all of the tools we are making available to you -- including the serial numbers on the inside of packaging and our “Play Real” website. You can visit our “Play Real” site at daddario.com/playreal. You can be reasonably sure that any online D’Addario strings originating from Asia at very low prices are not authentic. These are mostly from the People’s Republic of China. Remember: if the deal is ‘too good to be true’ it is usually a fraud – shop cautiously. If you suspect that an online retailer or a retail store in your country is possibly selling counterfeit product, you should ask (politely) where they get their supply of D’Addario strings. If the answer is Asia, beware. If you think you have seen counterfeit product, please notify us about the situation at: playreal@daddario.com and we will investigate. If you ever have doubts as to the authenticity of product you are purchasing, please contact us and we will try to assist you. The best way to describe our trip to the Czech Republic, Slovakia, Switzerland, and UK this summer is 'grueling delight'. It was wonderful, exhausting, unforgettable! Visit our Facebook page to see some photos and comments from our whirlwind trip. Enjoy! And while you're there, please click to 'like' us! You can also view the whole of the e-newsletter online. Danilo Cartia and the Danilo Cartia Band announce that the next Rome Bluegrass Jam will be held on Wednesday 6 October 2010 at the 'Cantine Blues', Via della Batteria Nomentana 66/68, Rome, Italy. Admission is free. Thanks to Rainer Zellner of the Music Contact agency for the complete and final list of tour dates for the second Bluegrass Jamboree! 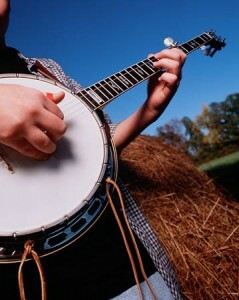 The latest press releases on the 2010 Bluegrass Jamboree! (in German) can be seen on its website. It's official!! Our new recording has been completed! 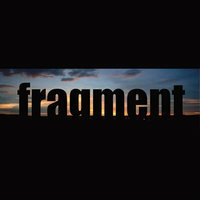 Check it out here on Fragment FB page. We recorded both in Europe and in the USA - in Studio Sabik in Slovakia (tracking engineer Peter Szabados) and in Dark Shadow Recording in Tennessee. Special thanks to Stephen Mougin for recording and mixing this 'transcontinental' project. The Associazione Musicale Melody of Italy announce that the third edition of their Concorso Musicale Europeo will take place at the Town Auditorium, Piazza M. Serrao, in the city of Filadelfia (Vibo Valentia), in the 'toe' of southern Italy, on 1-8 May 2010. This music competition is dedicated to the memory of the operatic composer Paolo Serrao (1830-1907), and extends over music in general. Categories of entry include opera singing, pianoforte, strings, woodwind, guitar, accordion, percussion, chamber music, and school instrument classes, choirs, and bands. Up to €20,000 is to be won in prizes. The competition is open to young musicians of any nationality, provided they have not previously won the overall first prize in the same category for which they are applying. The Associazione Musicale Melody is linked to the EBMA's Facebook group, and some readers of the European Bluegrass Blog may benefit from checking out the AMM website. The EBB carried news of the 2010 competition on 29 December 2009. It’s an umbrella title for all bluegrass & old-time events happening in greater London that week: it’s not a trading organisation - there’s no central funding or ticket issuing, but I’ll act as coordinator, putting listings on a website and generally publicising the events together and trying to get as much information around as possible. We’ll almost certainly have a printed sheet with listings shortly to put out beforehand. Already, nearly nine months in advance, ten shows are scheduled as part of the London Bluegrass & Old-Time Week, and more events are expected. All the bands in the London area and south-east England are arranging bookings, barn-dances, workshops, schools demonstrations, etc., to form part of the Week. Further announcements from Rick are expected as the arrangements develop. We hope to see many of you before long in Nashville. But this is also for those who can not join us! On Tuesday 28 September at 1.30 p.m. we will have a special meeting for all non-US attendees. To be better prepared, I would like all of you to give short answers to a few questions below. Please send back to me on 22 September at the latest, as I will leave home on the 24th. 2) If not, what is the reason? 4) What do you expect from your IBMA membership? 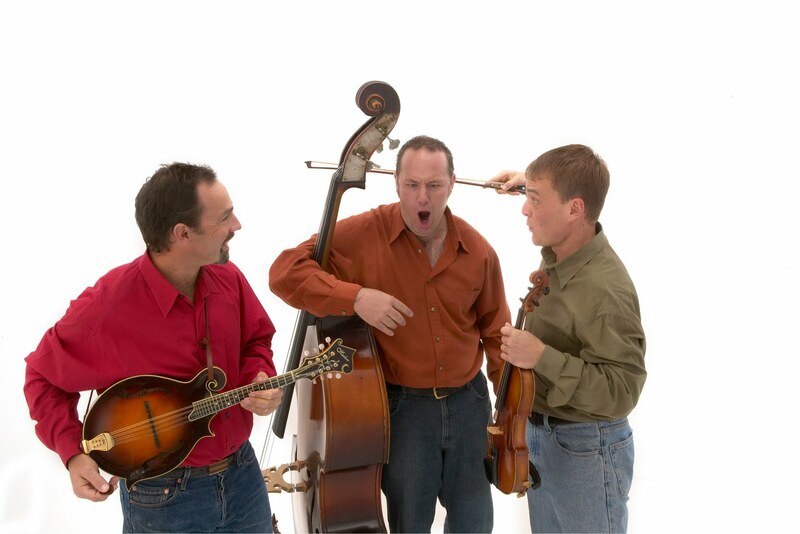 5) What can the IBMA and/or the bluegrass community expect from you? 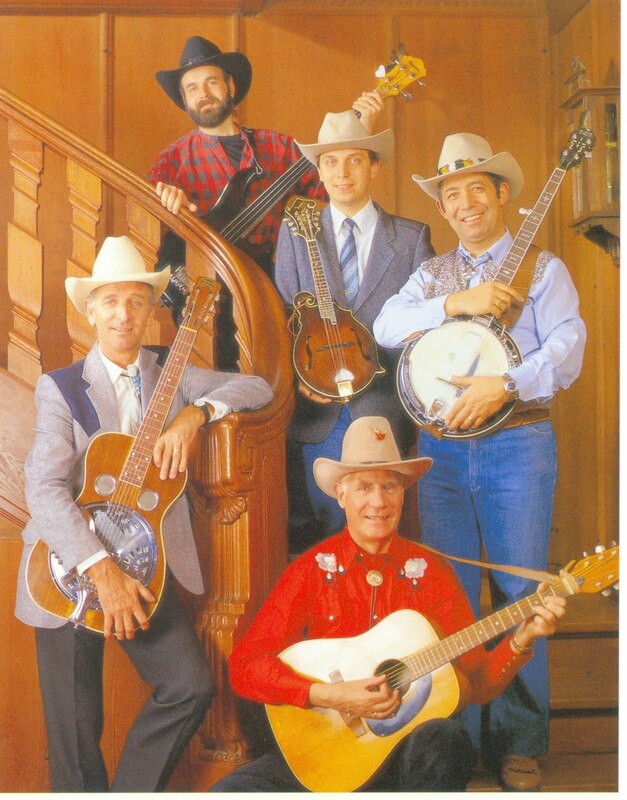 6) Do you have questions, ideas, or suggestions for the IBMA and its International Committee? 7) Anything else you would like us to know? See also the EBB post of 14 September 2010. Sweden's Downtown Ramblers are playing several shows while in Nashville, TN, at the end of the month. Among them will be an IBMA official showcase on Tuesday 28 September at 7.45 p.m. [continuing to 8.10 p.m.] and the Mast Farm Inn's Emerging Artists Concert Series, Saturday 2 October, 11.00 p.m. The Downtown Ramblers were voted #1 European Bluegrass Band at the 12th EWOB Festival in 2009. More details of shows in Nashville are on the band's MySpace site. Thanks to Richard F Thompson of the BBMA for the news that the G2 Bluegrass Band from Sweden, who have been touring in the USA since the beginning of June, will top the bill at a concert for the benefit of the unemployed, organised by the Bluegrass Bands and Helping Hands movement. The concert, which has been in preparation for nearly a year, will be held at 5.00 p.m. on Saturday 25 September 2010 in the Recreation Place at First Presbyterian Church, 510 S. Tibbs Road, Dalton, Georgia 30720. The funds from the concert will help to keep families from being evicted or having their utility services disconnected. Also appearing will be the Dismembered Tennesseans (Chattanooga, TN), Gold Heart (Hamilton, VA), and the Hillbenders (Springfield, MO). 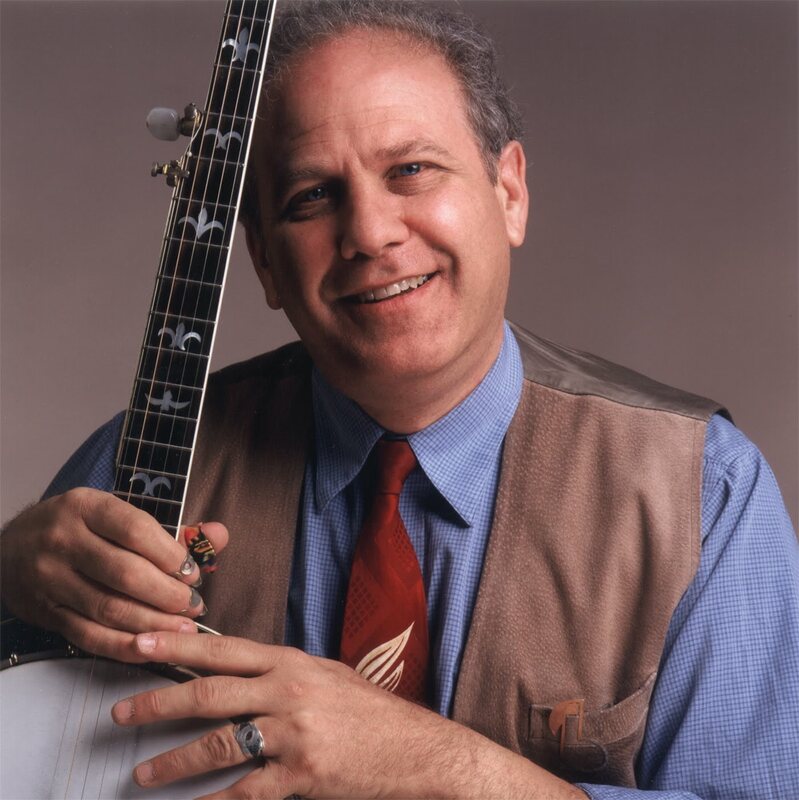 Randall Franks (entertainer, columnist, and former member of Bill Monroe's Blue Grass Boys) will be the MC. Tickets ($10-$20; under 12 free) are available online or from locations in Dalton and Calhoun, Georgia. Food concessions and an Italian buffet prepared by a Dalton restaurant will be available. 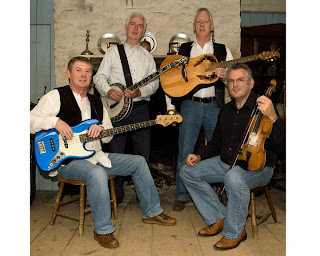 More information is on the Bluegrass Bands and Helping Hands website; or by e-mail. Every student who picks up an instrument aspires not just to be a ‘really good closet player’, but to play music with other people, and be able to play in real bluegrass jam sessions. But very little music instruction teaches the interactive skills needed for group music-making. Those who are brave enough to show up at a jam often find themselves embarrassed and frustrated because they aren’t properly prepared to join in. After many years of teaching and experimenting, Wernick discovered that he could teach any student to jam quickly by doing it in the context of a jam group - and that the joy of jamming in turn motivated a student to make steady progress on his or her instrument. Those attending one of his jam classes are jamming on the first day, and by the end of the program they are fully able to jam on their own - and eager to do so. After being told by many jam students how the experience had changed their lives for the better, Pete decided to make his techniques more widely available for other teachers to join in his efforts to convert closet players into jammers. The Wernick Bluegrass Learning Network will train teachers in Pete’s unique approach, certify them to teach Wernick Method jam classes, provide them with course materials, and create customized advertising for their courses, including listing on Pete’s extensive DrBanjo.com website. 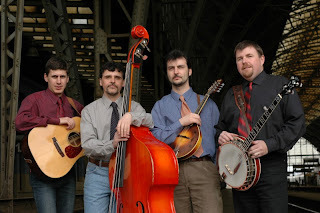 Bluegrass teachers who want to learn more about the Wernick Bluegrass Learning Network and how the certification process works can visit the DrBanjo.com home page and click on the Teachers button. Mon. 20 Sept. 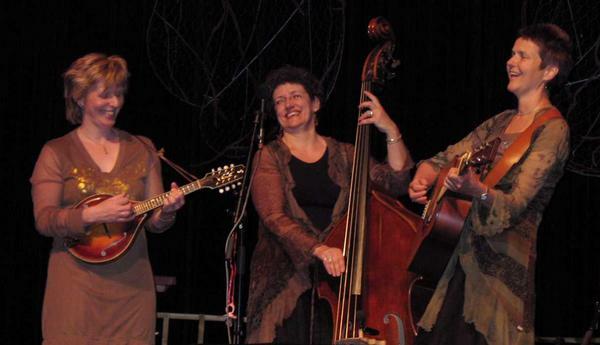 The Bell, Bath, Somerset, 9.00 p.m.
22 Sept. 'Cool as Folking Bluegrass! ', Upstairs at the Ritzy, Brixton, London, 8.00 p.m.
23 Sept. Platform Tavern, Town Quay, Southampton, Hampshire, 9.00 p.m.
More details, including locations of venues, are on the BRT MySpace. On 6 Nov. they will take part in the Al Ras Old Time & Bluegrass Festival at Mollet del Valles, Barcelona. Last night I came back from a nice US tour through Minnesota, Iowa, and Nebraska. I want to thank all of you who made this nice tour possible, all of you who booked me, and all of you I could stay with. I met old friends I haven't seen in years and and made a lot of new ones, especially in Nebraska and Minnesota. Surprise hit me at the 35th National Old Time Country & Bluegrass Festival in Le Mars, IA, when I was inducted in the Old Time Country Music Hall of Fame by Bob Everhart. Another highlight was the international show I did together with Roger Tibbs from New Zealand and George Hamilton IV at the Miles of Memories Country Music Fest in Hastings, NE. Thanks again and I hope not to wait another five years before I'm back. Andy's website and MySpace include links to all his performance, workshop, and other activities, including his picking partnerships with Steve Kaufman, Ross Nickerson, and Jiri Kralik. He is also a member of the Duo Barnstorm. Performances from his Singing Banjoman and Sousabanjo projects can be viewed on YouTube. 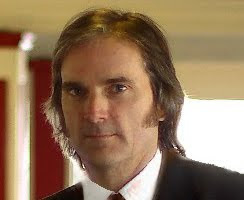 His novels can be found on new-eBooks. 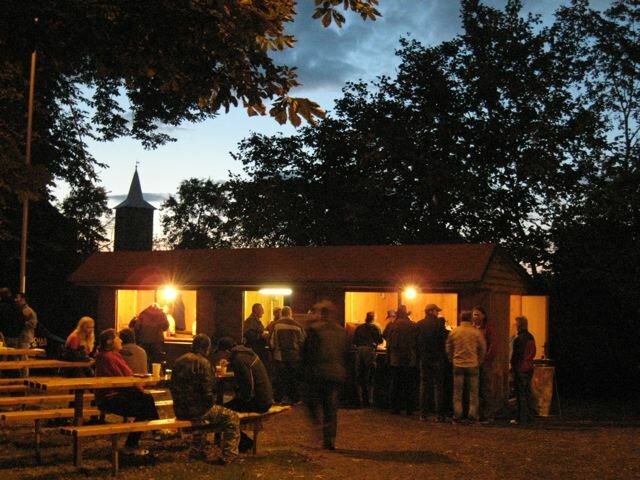 Thanks to Paolo Dettwiler for forwarding news from Adiaha Bürkmiller, organiser of the 4th Banjo Camp Munich, which is now less than three weeks away (1-3 October 2010). This year's Camp is almost fully booked, but a few places are still available: one for dobro, two for guitar, and six for banjo. Bookings should be made as soon as possible. For full details of the Camp - fees, courses, tutors etc. - see the website; any further questions can be phoned to Adiaha (mobile +49 (0)176-23640702). ... or bring them to the booth when the trade show opens on Tuesday. Only send materials that we can give away for free to those interested; also we will not be able to ship leftovers back to you! Hope to see all of you in Nashville! We were met at the airport by Jussi Syren and Jounni. Jussi is Mr Bluegrass in Finland: if anything is happening in bluegrass in Finland, Jussi probably has a hand in it. Jounni is the manager of the Lautsia resort, the location of 1st Annual Bluegrass Stomp Festival, and also our residence while we were there. Jounni was such a good host, he took us to the resort and got us situated in our rooms and showed where lunch would be served. Tina was also a great help at the resort, her English was good and we were able to communicate with her. Jounni, Tina and the whole staff was absolutely wonderful. We had a great time. The Bluegrass Stomp Festival was on Saturday and Sunday so we took the rest of the day Friday to relax and explore the beautiful resort. Saturday when the festival started we were in for some hard-core Finnish and Swedish bluegrass. They sure enjoy it over there and have some really good bands. We are so pleased to make lots of new friends while we were there. Klaus and Jyrki, of the Clayhill Brothers, took a 'liken' to us and even took us for a trip through the countryside and to visit a castle, it was awesome. Some really good people. We finished the show up on Sunday evening and had Monday to relax and Jounni took us to visit Tampere, another city in Finland, very nice. Even though things are some different over there, bluegrass and good human nature sure brought us together with some great people; we would love to go back sometime. 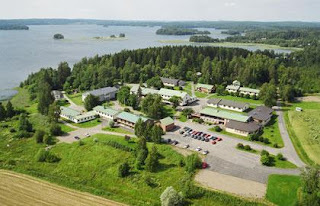 Details of the Bluegrass Stomp Festival are on the Finnish Bluegrass Music Association website. By Googling 'Bluegrass Stomp Festival', videos of several performances at the festival can be found on YouTube - including one of the Tommy Webb Band playing 'Rocky Island', with Tommy on clawhammer banjo. 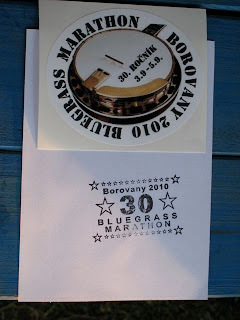 Thanks again to Lilly Pavlak for a report and many photos on the 30th Bluegrass Marathon, which took place on 3-5 September 2010 in the 'Bluegrass Village' of Borovany, near Tachov in the south-west of the Czech Republic. To mark this important anniversary the event was extended to three days, and many of the leading Czech bands (and one from Slovakia) took part. You can read Lilly's full report and see many photos of the venue and the performers here. The European Bluegrass Blog reports with great regret that Lilly has suffered a bad injury to her right hand. We wish her a complete and speedy recovery. Friends of Czech bluegrass in general and of Blackjack in particular will be glad to know that the band made a very successful appearance at the 19th Appalachian & Bluegrass Music Festival (3-5 Sept. 2010) in the Ulster American Folk Park at Omagh, Co. Tyrone, Northern Ireland. 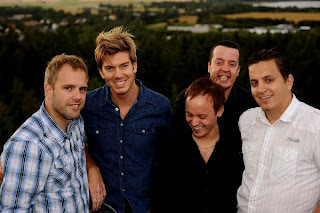 In addition to playing five sets at locations in the Park during 4-5 September, they appeared on the prestigious Saturday night main-stage concert, in between two award-winning American acts: the Gibson Brothers and Dale Ann Bradley. In this distinguished company, they earned and received a very enthusiastic reception from the 1,000-strong concert audience. Thanks to Lilly Pavlak for these photos and many more taken at the Bluegrass Dzem ('jam') festival in Komorni Lhotka, Czech Republic, on Saturday 28 August 2010. Album, Monogram, and Bluegrass Nova (the Czech equivalent of New Grass Revival, reunited after twenty years) were among the bands taking part. Update 11 Sept.: Lilly's text report and more photos can be seen here. The Knotty Pine String Band (left) from Omagh, Co. Tyrone, Northern Ireland, originally formed when the Appalachian & Bluegrass Music Festivals began to be held at the Ulster American Folk Park at Omagh. In 1998 they were one of the bands that took part in the first EWOB Festival at Lichtenvoorde in the Netherlands. Since then, they have brought out several CDs and have toured widely, including the USA. They are planning another US tour for 2011, and would be glad to hear from anyone with contacts to venues on the West Coast. Please contact their fiddler, Declan O'Kane, by e-mail. To keep up with the band, visit their Facebook page. Musician, author, and journalist Sid Griffin, leader of the Coal Porters band (UK), will be interviewed at the Country Music Hall of Fame and Museum in Nashville, TN, on Saturday 11 September, and will autograph his publications later that day. Both events form part of the last day of the Americana Music Festival and Conference, which began on 8 September and is being held at the Hall of Fame in partnership with the Americana Music Association. Full details can be seen here. A schedule with links to venues etc. can be found on UKBluegrass.com via this link. Leon Hunt will take part in the Johnny Keenan Banjo Festival in Ireland after the end of the tour. You can correct the spelling (if necessary) by contacting Uncle Earl through their website, Twitter, or Facebook. If you like hiking in the mountains and bluegrass music as well, somewhere up in the mountains in the middle of Norway was the place to be a weekend in July this year. Our first truly high-altitude bluegrass festival took place the second weekend in July at Bjorhollia, a cabin or rather a resort for mountain hikers up in the Rondane mountains. Unlike Telluride, you would have to carry your own tent and sleeping gear the 2-3 hour trek by a mountain road to get there, but just being there would be well worth the trip even without the music. Our very first Norwegian bluegrass band, Christiania Fusel & Blaagress, founded in 1968, was the headliner, followed by Ila Auto and a couple of more bands that had taken the trip to be there. More than 500 people had found their way to the place and those that could not sleep inside were all camping around the resort. They plan to do it again in 2012, so if you like mountains and bluegrass, check it out then and make plans. Nice weather, nice nature, nice people and lots of good music, I wish I had been there. But the first instructors for the workshop at Risor Bluegrass Festival arrived that same weekend. The bluegrass week in Risor, with four days of workshop and three days with festival concerts, is the natural meeting place for most bluegrass bands and musicians in Norway. This year there were 31 bands and close to 50 concerts, including a children's concert and a church concert. And unlike the last couple of years the weather gods looked in favour upon us. Sunny Side (CZ) was back by popular demand and headed the list of foreign bands in the audience popularity votes (as in Risor last year and at EWOB this year) and Earlybird Stringband, #2 European Bluegrass Band this year, were slightly ahead of the other Norwegian bands in popularity according to the audience votes. Next year will be the festival's 10-year celebration and we plan to honour all the Norwegian bluegrass veterans as part of the celebration. We must see how many we can round up and find out if there are still some reunion concerts possible. The regular bluegrass concerts at Herr Nilsen in Oslo started up this week with Tim O'Brien on the poster. He will also visit Bergen before he leaves Norway. Concerts on Herr Nilsen are scheduled every second Wednesday, with one or two bands each time. There is also another venue showing interest in having regular bluegrass concerts, plus jamming nights, in Oslo. It is a larger place and it sounds very interesting, we shall see what may come out of a meeting with them in the near future. The summer season in the Czech Republic was, as one probably expects, a very busy season indeed. 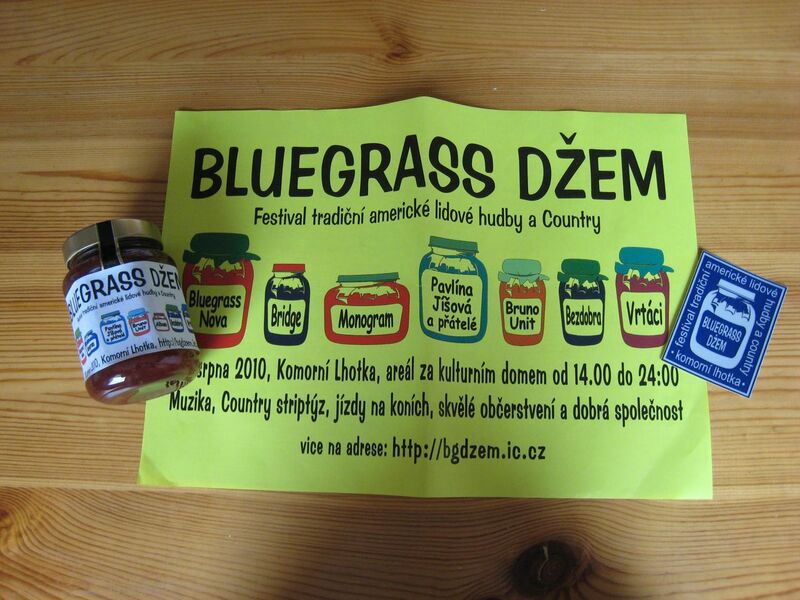 The calendar on the main Czech bluegrass server listed around 3-5 smaller or greater festivals across the country per each weekend, and single band concerts sprang up just incessantly. It was a heaven for bluegrass freaks, but unfortunately one cannot be at all places at the same time. These are the opening words of a major article by Peter Ruby (CZ), which will appear in the next issue of Bluegrass Europe magazine. The many events with which it deals include the Hradešínské struny ('Hradešín strings'), 16-17 July, which featured almost all the best Czech bluegrass (and country) bands; Country Vojtěchov in Moravia on the same weekend with close to twenty bands; the mass migration of Czech bands to La Roche-sur-Foron at the end of July, where they took all three main prizes; the week-long bluegrass workshop in Hustopeče (8-14 August); the 12th annual Starý dobrý western (Good Ole Western) festival near Vsetín; and the 'Discover Nashville' evening in the grounds of the US embassy in Prague, featuring the country band BlueGround, which consists of leading Czech bluegrass musicians. 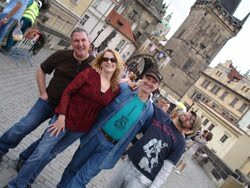 Peter also mentions the concert by the Claire Lynch Band in Prague in August (see the video on this link) and his own band's trips to the North Wales and Guildtown festivals in Britain. 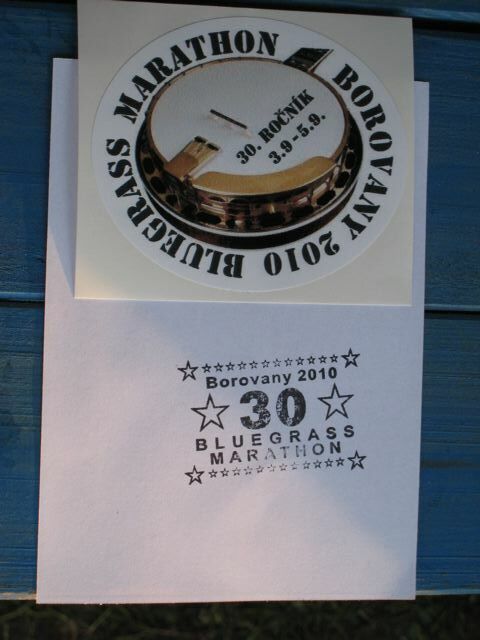 His account ends with the 30th annual Bluegrass Marathon in Borovany near Tachov, western Bohemia (3-5 Sept.), and the growing numbers of Czech towns with open bluegrass jams. Read the full story in the next Bluegrass Europe. Peter Rowan is wrapping-up his current tour of the UK with three concerts this week. The Peter Rowan Bluegrass Band is touring to promote their new CD entitled "Legacy" on Compass Records. The CD release date in the USA is September 7. Special guests on the recording project are Del McCoury, Tim O'Brien, Ricky Skaggs and Gillian Welch & David Rawlings. Alison Brown (banjoist & president of Compass Records) is the producer of the project. Thanks to Patrick Steven Patterson of Lotos Nile - Media Marketing Music in Nashville, TN, for news of the Grand Ole Opry's Music Video Challenge - a quiz that supports Nashville flood relief and rebuilding. The Grand Ole Opry will be returning home soon, and the prizes to be given away in celebration include a Brad Paisley-autographed Les Paul guitar, a trip for two to Nashville and the Opry, and $500 to spend. You can play on the Opry's website. Each time a fan plays the Music Video Challenge, Humana will make a $1 donation for Nashville flood relief. The artists involved include Alison Krauss, Vince Gill, Dolly Parton, and many, many more. Patrick also sends a complete list of nominees for this year's IBMA awards. 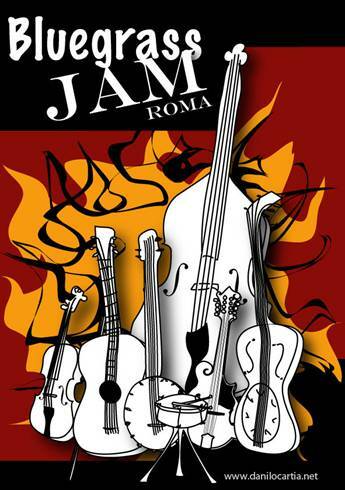 Thanks to Richard F Thompson of the BBMA for this link to 'Bluegrass jams in a Czech saloon', a feature posted yesterday by Bill Lehane on the Velvet Violin music blog of the English-language Prague Post. 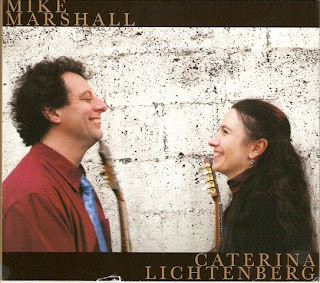 Thanks to Paolo Dettwiler for forwarding the news that Phil Rosenthal (USA) will be appearing at the Coffee Shop in Strathpeffer, Scotland, on 13 Sept. 2010 (8.00-11.00 p.m.). The show is organised by Rob Ellen, a member of the House Concert European Hub (& Acoustic Music Club Network). More details are here. 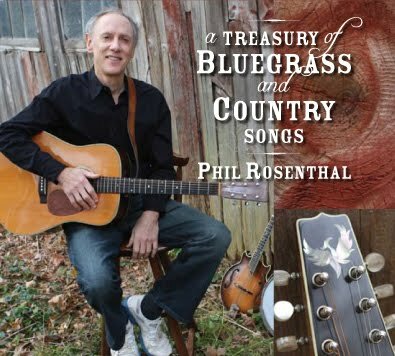 Phil Rosenthal has been a featured artist on the 19th Appalachian & Bluegrass Music Festival which ended yesterday at Omagh, Co. Tyrone, Northern Ireland. Further details of his current European tour are on his MySpace. We had a successful concert series this spring, with Kathy Kallick from the USA highlighting the series. Kathy & Co. played a couple of concerts here and were a big success. It was good to have her back here again. We also had a find concert from the Danish trio Blue Dolls [above], who have got three-part harmonies down to a 'T'. Grassride from Sweden was here as well, and we closed out the season with a split Danish concert with Special Blend and Copenhagen Mountain Boys. Fall plans are completed, and we look forward to Julie & the New Favourites from Norway, the first Norwegian band to perform for us. We had the pleasure of having Magnus Wiik from this band in Copenhagen this spring, and frequently sitting in on local jam sessions. Magnus was studing at the rhythmic conservatory here, and plays bluegrass and jazz on about any instrument with strings! Blackjack from the Czech Republic is scheduled to pay us a vist, and for our season ending bluegrass night we look forward to Rocks and Ivy from Holland/Belgium, and seeing our friend Jeroen Jongsma again. Jeroen was so kind as to provide lodging for Arne Sørensen and myself during the EWOB Festival this year. A bit more comfortable than tents on the campground! We also look forward to the presentation of a CD of original instrumental music by one of our board members, Stefan Colind. He has put a large effort into this project, and has arranged to have some fine musicians help him out on its bluegrass night premier. We look forward to an exciting fall concert season. The festival season is winding down in Switzerland. Even though the weather did not cooperate every weekend, all of the festivals were successful and enjoyable. 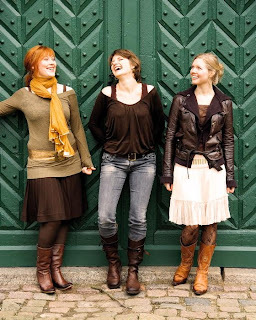 Even the so-called newer festivals are now into double digits, and there are more and more western and country nights that often have one of the good Swiss bluegrass bands in the line-up. These types of things and jams with local audiences compensate for a certain lack of regular concert opportunities for Swiss bands. Claire Lynch and band were here. Everyone enjoyed their shows and their enthusiasm. We are looking forward to our little Fan Fest on 13 Nov. It would be fun to have visitors from neighboring countries (or afar) come and play at the open mic or jam. There are good door prizes, too. Michael Cleveland will be in many places in Dec., including Schaffhausen in Switzerland. 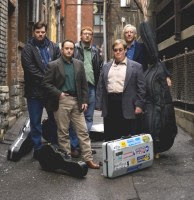 Rüdiger Helbig & Huckleberry Five will be here for a workshop and concerts in late Oct. 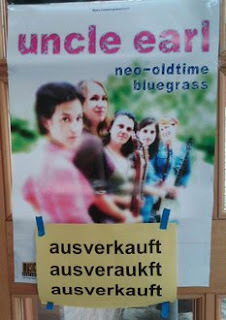 They will also play at the big indoor festival near Zurich called 'Old Time Country 2010'. There are other things being planned that have not yet been officially announced. 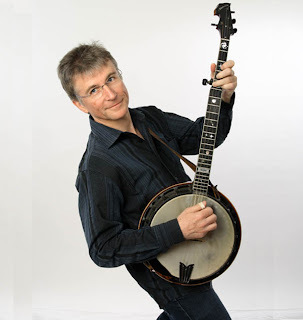 Thanks to FOAOTMAD, the UK old-time music association, for the news that one of their young members has won distinguished banjo awards in the US. 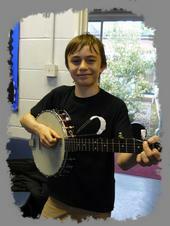 Edward Bennett from Penzance, Cornwall, is aged 15 and has been playing banjo for two and a half years - learning from YouTube and from Adam Hurt and Joe Newberry (USA) at Sore Fingers Week. In a trip to the States with his father Paul, who also plays American music, he won in succession first prize in the junior banjo contest at Morehead, KY; first prize in the junior banjo category at Clifftop, WVA; and third prize in the youth banjo category at Galax, VA.
Edward and Paul Bennett are regular members of folk and old-time sessions in Cornwall, and Edward will play for the Shindig Cloggers at this year's Cornish Bluegrass Festival (17-19 Sept. 2010). Rob Ickes (USA), eleven times IBMA Dobro Player of the Year, will be performing at the Bluegrass and Beyond festival at the Brindley in Runcorn, Cheshire, England, on Friday 8th and Saturday 9th October 2010. Private lessons with Rob may be arranged on a first-come-first-served basis on Sunday 10 October. A few lessons may be scheduled on Saturday as well. For more information on scheduling a private dobro lesson while Rob is in England, contact Rob by e-mail or through his website. A web press release on this trip can be seen here. This Saturday 4 September at 15:30 the annual Picnic Festival opens in Namur. The only bluegrass festival in Belgium. I have 1 free ticket to give away. The first person who mails me the birth date of Bill Monroe gets it. Friday evening and Sunday will have Celtic music. Address and other details on the Festival website. 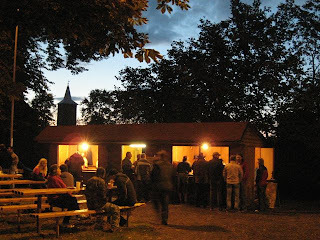 Thanks to Oliver Waitze of the New Acoustic Gallery (NAG) in Solingen, Germany, who announces the next concert at the NAG on 11 Sept. 2010, starting at 8.00 p.m.
Tickets (VV €25; AK €30) can be booked by telephone (+49 (0)212/2474007) or e-mail. The new CD by Mike Marshall and Caterina Lichtenberg (see image above) will also be available. After a busy summer of camps, festivals, and picking sessions, things quieten down as we head towards winter. The next event is our Winter Bluegrass Weekend in Vichy (in the centre of France) from 29 October to 1 November. The date for the next Annual Picking Party in Leiden has been set: 15 January 2011. 4 Sept. Gooi Maar in m'n Pet Festival in Emmen, 13:00-17:00. 9 Oct. MuziekAalandenfestival in Zwolle. Lazy Tater and the Babes in the Grass are at 't Veurof, Zuiderdiep 71, 7876 AD Valthermond (0599 661405) on Sunday 31 October, 14:00.